ACOUSTIC EXPO 2013: Gibson Acoustic guitars has been hand-crafting acoustic instruments since 1894 when Orville Gibson built his arch top instruments in Kalamazoo, Michigan. Today, Gibson Acoustic guitars are still handmade by master craftsmen in Bozeman, Montana. Gibson is the leader in creativity, experimentation and unrivaled tone. 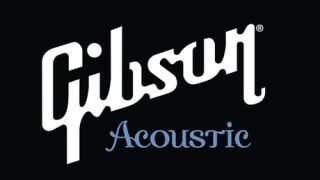 For the full line of Gibson Acoustic models visit the Gibson company website. Click here to read more about the Gibson Hummingbird. As distinct in size and shape as it is tonally unique, the new SJ-100 is true to its origins in both brilliant tone and reasonable price. An American original with simple appointments, this great Gibson flat-top is an attractive, high-quality guitar that embodies the power and prowess of the Super Jumbo line. Click here to read more about the Gibson 1941 SJ-100. Introduced in 1936, the J-35 was Gibson's answer to a call for a quality, hand-crafted guitar with unrivalled tone and an incredible price. The 2013 J-35 is the modern equivalent of that original round-shoulder flat top with Gibson's historically celebrated, full bodied acoustic tone. Click here to read more about the Gibson J-35. For more information visit the Gibson website, or connect with them via Facebook, Twitter and YouTube.